St. Mark's is an inclusive church of the Episcopal Diocese of Hawai'i in the Anglo-Catholic tradition. We have a high view of the Sacraments and their ability to heal our broken world. We affirm Baptism as our true birth in Jesus Christ, and we venerate Christ in the Body and Blood of the Eucharist. We also practice Sacramental Confession as a means of reconciling the world to our Lord. For more information about the Sacraments of the Church, view Cure of Souls. We have a high view of the Incarnation, or the Word-Made-Flesh among us in Jesus Christ. Even though humans fall prey to sin, we believe that every person bears the image of Christ, and that every person is to be honored for their inherent dignity and worth. Such belief calls us to reach out to those who are hurting in our world. We affirm the traditional Creeds of the one, holy, catholic, and apostolic Church. The Nicene Creed is recited at all masses on Sundays, as well as at all masses on Prayer Book Holy Days. The Apostles' Creed is recited daily at Evening Prayer. We cherish the Bible, especially the Gospels which point us to the most important Word, Jesus Christ. We believe that the Bible must be read prayerfully and critically. We read the Bible to help us understand God more fully, but we also understand that the Bible has been written by humanity, and therefore it is not without error. We affirm the threefold ministry of bishops, priests, and deacons, and we give thanks for apostolic succession, connecting the ordained ministry to Jesus Christ and the first apostles. We also believe that God calls all people into ordained orders, including women and GLBT persons. We give thanks for the innumerable company of saints. As death no longer has dominion over us due to the work of Jesus Christ, we believe that death no longer separates us from those who have gone before us and those who will come after us. For this reason, we ask the saints to pray for us as we journey on our Christian pilgrimage. This is why we pray for the dead. We honor Mary as the Mother of God and the Queen of Saints. Regular votive masses of the BVM are celebrated on Saturdays, and the rosary is recited weekly. We worship God in the beauty of holiness. We use incense, oil, candles, water, color, banners, music, flowers, etc. as an expression of our piety. Such ceremonial is done to honor our Lord, and it is understood to be prayer made visible. 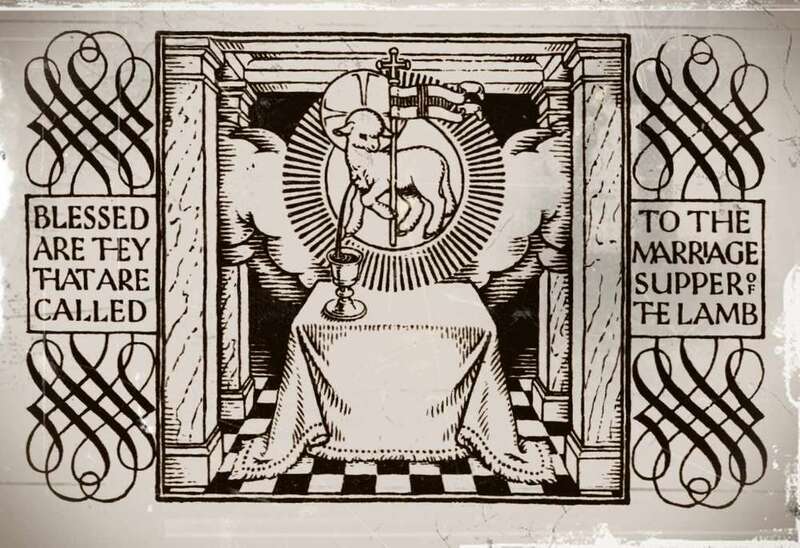 As Jesus Christ is the ultimate Sacrament of the world, our lives are to be Sacraments to Christ as well. We seek to live our lives faithfully to Christ's plan for us, being good stewards of everything he has entrusted to us already. Our devotion and worship is useless if we are not engaged with the struggles of our world. Because of our high view of the dignity and worth of every human being, and because Christ resides in every person, it is imperative that we seek wholeness for the entire creation. The beauty of holiness must lead to a passion for justice and pastoral care.